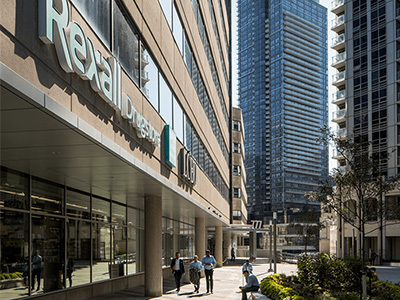 777 Bay Street has three levels of underground parking with a current capacity of 902 vehicles. The parking facility is directly connected to the College Park complex, and provides easy access to Queens Park, Toronto’s hospital corridor, College subway station, and the city’s MaRS Medical Research Development. Security officers patrol the complex 24/7.